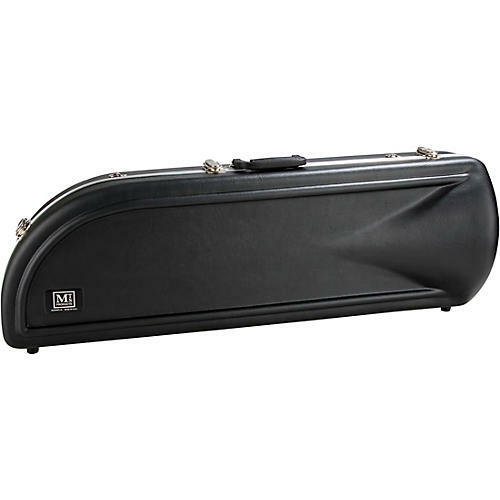 The MTS Products F-Attachment Trombone Case features a multi-model nest design coupled with a tough mar-proof black vacuum-formed shell with an aluminum valance. The design durability is also enhanced with all hardware backed by steel washers. The nest design is a plush-covered protective Styrofoam. Designed to fit a variety of standard and open-wrap F-Attachment trombones, this MTS trombone case is a perfect choice for a durable, lighter weight case compared to factory-model wood cases.